Several of us learned cartography when ink pens and sticky-back labels were still the main tools of the trade. Modern digital cartography tools are great for mass-production, but it is tough to create anything digital that has an heirloom feeling to it. We love when we get a chance to mash up the old and new schools of cartography, using paint brushes and ink along with the digital layout tools. 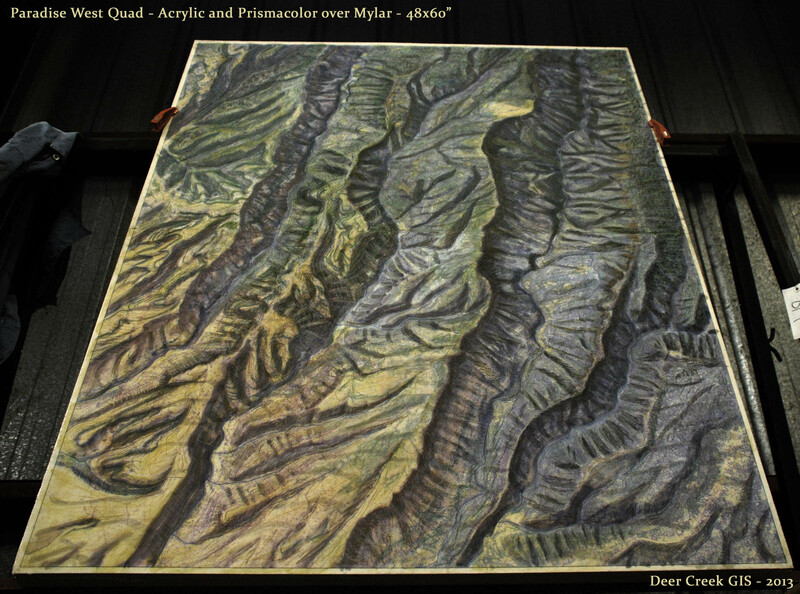 Here is a birthday map that we built a few years ago for a guy that lives up in the foothills above Chico. His kids wanted us to make him a map that showed his property. This project tapped into every drop of creative and technical know-how that we had. Original artwork, hand-drawn over digital airphotos and topo map. 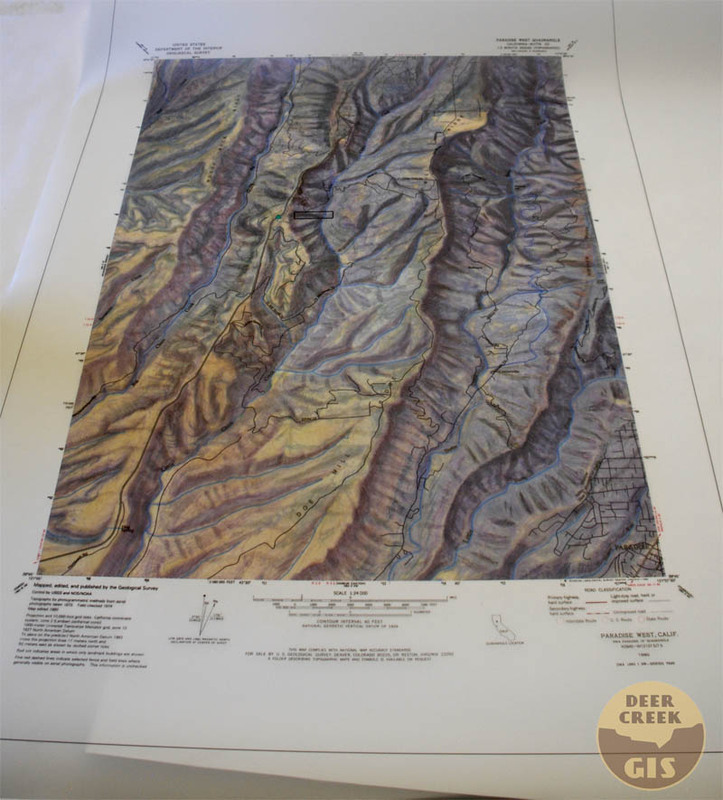 The footprint of this artwork covers the 1:24,000-scale ‘Paradise West’ USGS Topographic Map. 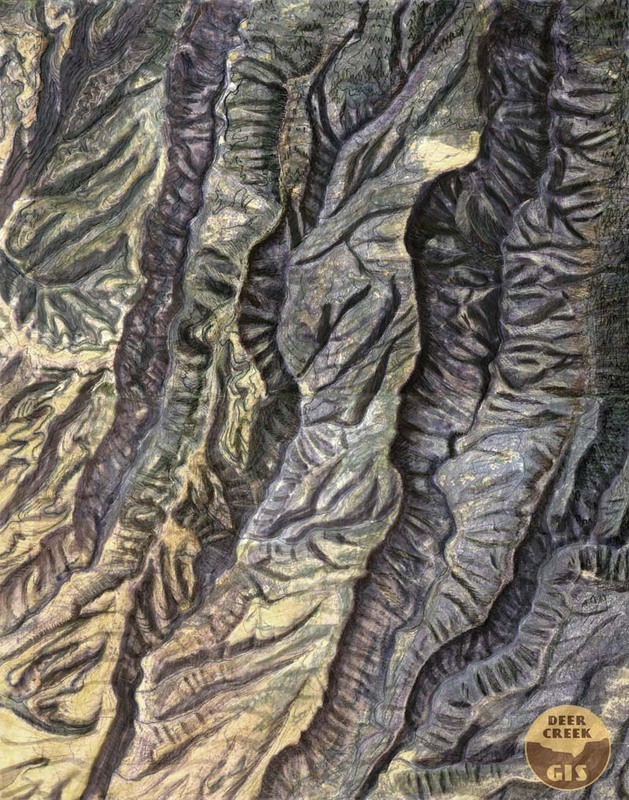 Butte Creek Canyon and Paradise are on the right, Big Chico Creek is just left-of-center. 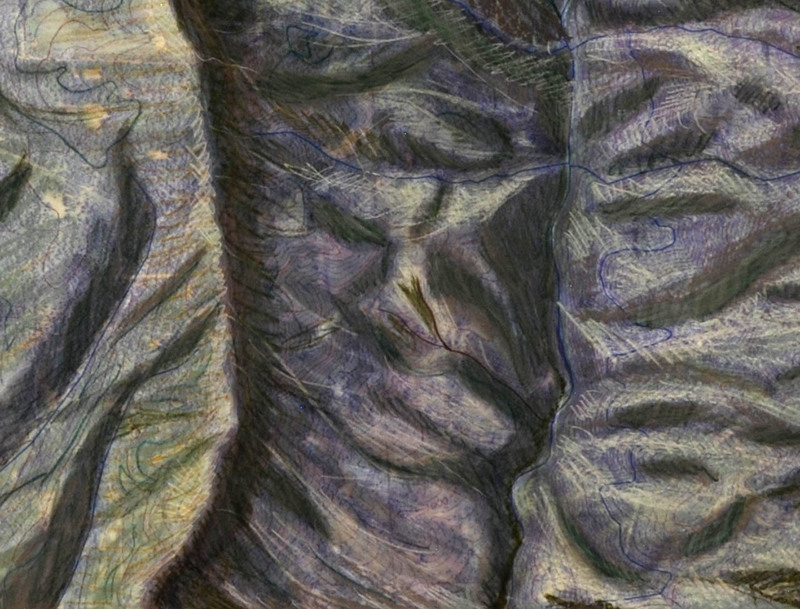 Detail – Prismacolor, acrylic, and china marker over mylar. Photographing a 2-d map from an angle is a good way to create the ‘poor-mans 3-d map’. 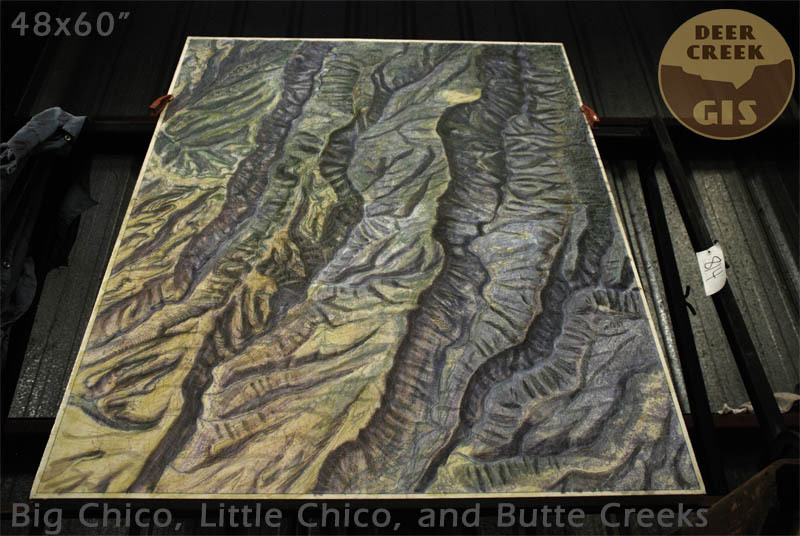 The final product combined our original artwork with road and stream overlays, and a collar and legend from the original USGS topo map.